The man behind the immensely popular Wai Wai noodles (Wai Wai has sold more than a billion packets in India alone), Binod Chaudhary is one of Asia’s most prominent businessmen. President of the Chaudhary Group which deals in banking, insurance, finance and housing, he has invested in hotels and real estate, and collaborates among others with India’s Taj Group. In 2013, he became the first Nepali entrepreneur to be listed as a dollar billionaire by Forbes. His passion for growing his business, in the face of stiff challenges, is legendary. 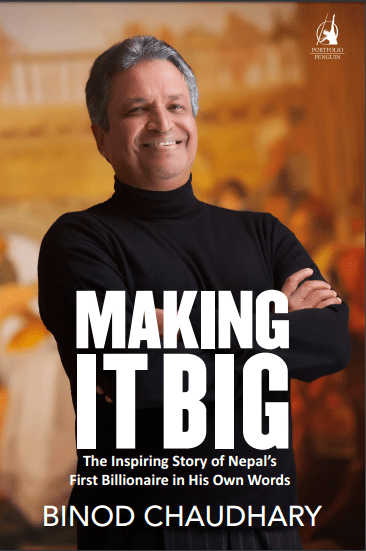 This memoir, already a massive bestseller in Nepal, tells Binod Chaudhary’s inspiring success story in his own words.